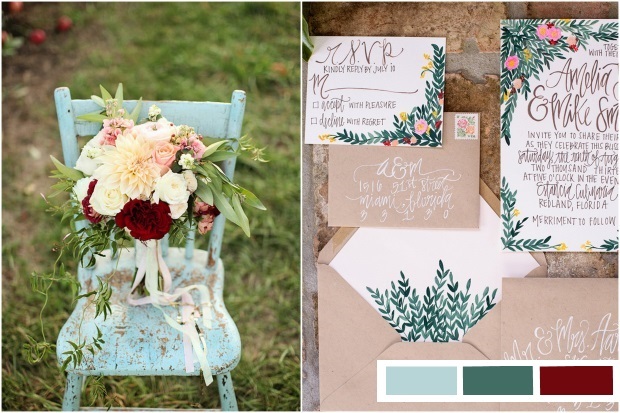 For some brides, choosing a wedding colour palette can be as difficult as choosing the dress or the venue, while for others it’s as simple as falling in love with a piece of stationery and letting everything flow from there. 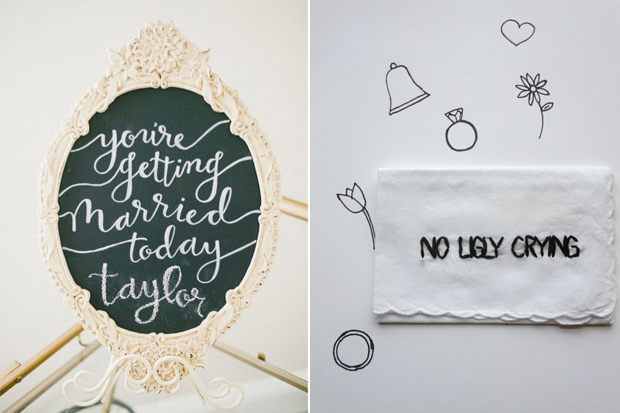 The good news is there are plenty of places to look for inspiration if you’re struggling to come up with the tone of your Big Day. Of course our top tip is to go online and gorge on wedding blogs (the best of all being the weddingsonline blog, of course) and in particular real weddings which are a great way to see a palette in action. 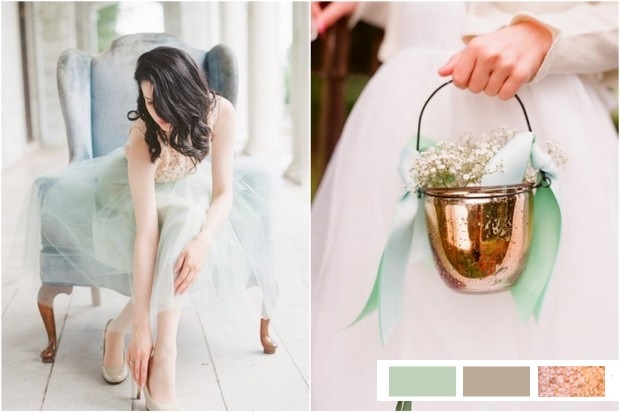 Another hugely popular starting point for an unusual and bang-on-trend wedding palette is to look at the influential Pantone guide for the year ahead. Representatives from Pantone Inc. meet in secret twice a year to choose the most important colour for the season ahead. Yes, it all seems a bit ‘cloak and dagger’ as a way to guess what colour people might paint their fireplace in the next few months but the Pantone Colour of the Year has come to represent much more than that. The Pantone COTY is one that multiple industry professionals believe will influence everything from paint and print to beauty and fashion and even the packaging on the next ‘It’ box of choccies (is that a thing?!) The colour Pantone have settled on just last week to represent 2015 is the deep, earthy, almost vampish Marsala (below centre) which they’ve described as a “naturally robust and earthy wine red” (and others have described rather hilariously as a lot of other things). 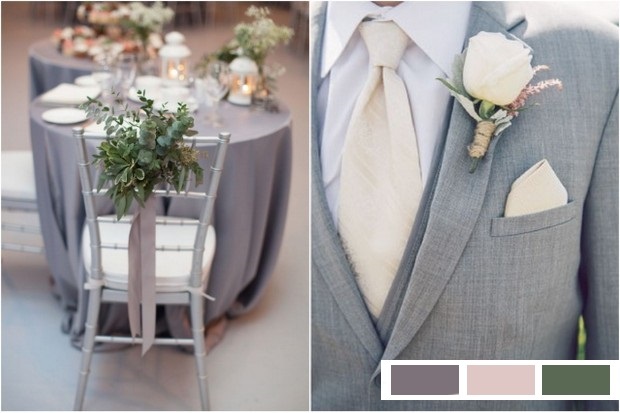 We think this bold hue will be nothing short of fabulous for a rustic autumn/winter wedding but those who don’t agree will be happy to hear it’s not the only choice you have when it comes to being on trend with your wedding palette. The Pantone Spring 2015 Colour Guide is a great place to find inspiration when putting together an ultra chic, modern affair, and we’ve already got some of our faves laid out for you below (always ahead of the pack aye?) We love seeing Classic Blue coming back to the fore when it comes to wedding colours – it’s elegant, timeless and so simple to adapt to wedding wear – and we’re sure plenty of brides, grooms and bridesmaids will breathe a sigh of relief to know that it’s not all about brights and pastels when it comes to fabulous wedding fashion. For those planning a more playful summer wedding however, why not try mixing Tangerine and Strawberry Ice to really get your guests in a colourful mood? For those opting for a more pared down rustic look, you really can’t go wrong by partnering Pantone’s Toasted Almond and Custard (mmm you could just eat them up!) 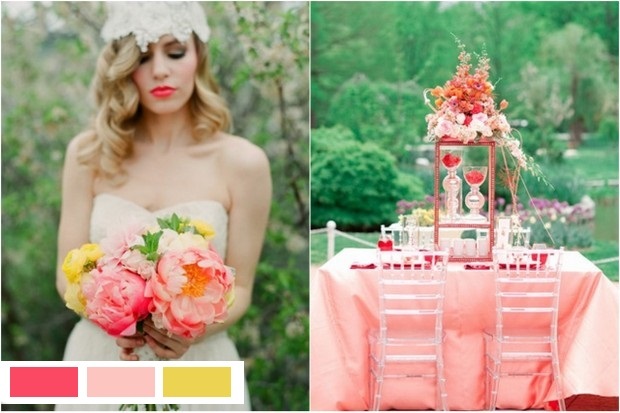 For even more inspiration on how to mix and match the top spring colours for 2015, check out some of our palettes below! 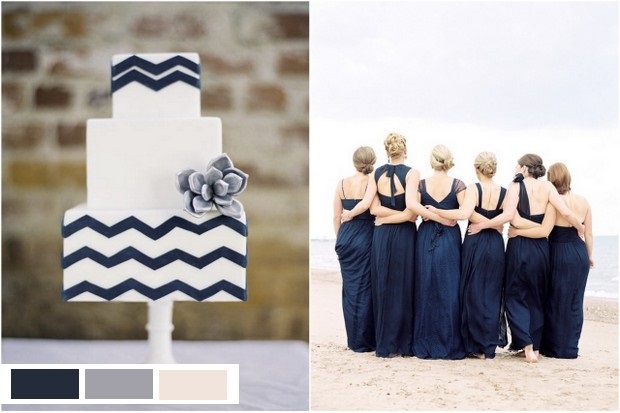 A crisp, modern party palette that can be adapted perfectly to a spring or destination wedding. Today’s ‘Black Tie Wedding’ and a fabulous choice for a contemporary yet formal affair . Mix grey and pink (aka ‘Strawberry Ice’) to give a feminine edge to this fresh take on grown-up glamour. 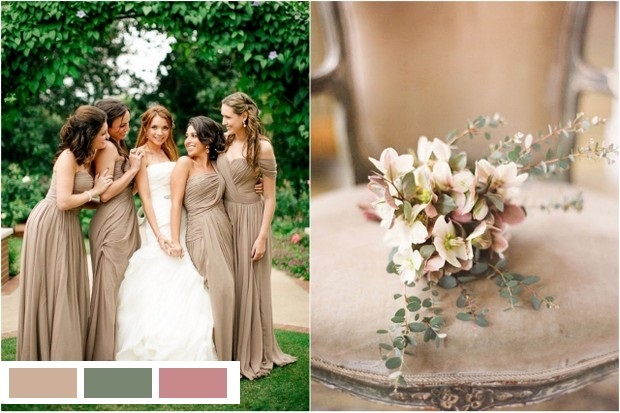 The rustic palette for us in 2015 – these classic, natural colours bring warmth to an outdoor affair. A bold take on autumn, this mix packs a punch for a charming countryside wedding. 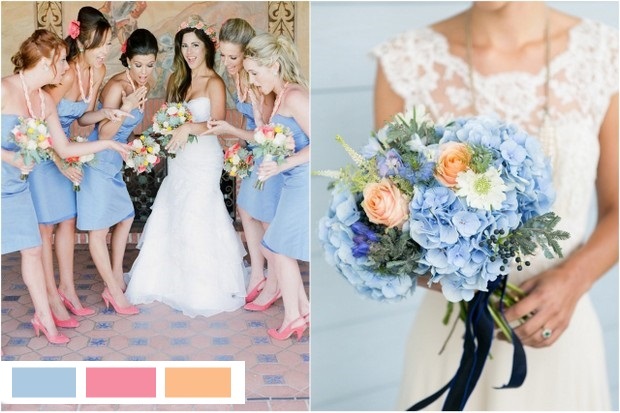 Dive into the deep blue with a cute, coral reef of colours, perfect for a sunny summer’s day. Guaranteed to put a smile on everyone’s face, peach, coral and custard is a palette so yummy you’ll want to eat it all up!